Ms. Starnella handles trial-level defense litigation and civil appeals in federal and state court in the areas of civil rights, employment law, products liability, insurance defense, and other commercial litigation. Ms. Starnella has practiced law since 2004. Before joining Wells, Anderson & Race, LLC, Ms. Starnella served as an assistant attorney general for the State of Colorado where she defended the Colorado Department of Corrections in a variety of state claims and federal suits brought under 42 U.S.C. § 1983, including claims regarding free exercise of religion, deliberate indifference to medical needs, outdoor exercise, accommodations under the Americans with Disabilities Act, and liberty interests in rehabilitative or education programs. While at the Colorado Attorney General’s Office, Ms. Starnella also defended the state’s top elected officials in cases involving constitutional challenges to Colorado’s laws, as well as election-related issues. She also defended county court judges in actions seeking review of county court decisions. Ms. Starnella has tried cases in federal and state courts and she has briefed and argued cases in the United States Court of Appeals for the Tenth Circuit and the state appellate courts. Ms. Starnella began her career in private practice at law firms in New York City, where she worked on cases involving intellectual property, products liability, white collar criminal defense, and other commercial disputes. From 2009 to 2011, Ms. Starnella was a law clerk for the Honorable Christine M. Arguello in the United States District Court for the District of Colorado. Ms. Starnella is the immediate past president of the Colorado Hispanic Bar Association. She also serves on the boards of the Colorado Women’s Bar Association and the Colorado Lawyer. 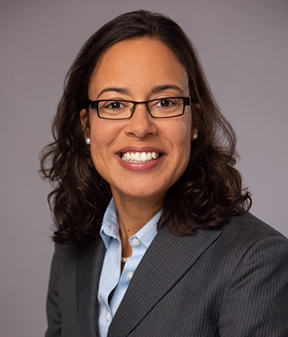 Ms. Starnella is also a mentor in the law school pipeline program, Law School…Yes We Can, a member of the CBA/DBA Presidents’ Diversity Council, and a member of the Northwestern University Alumni Admissions Council. She is a 2017 graduate of the Colorado Bar Association’s Leadership Training (COBALT) program.